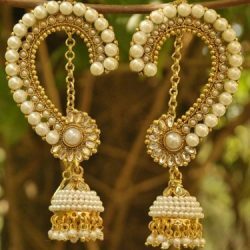 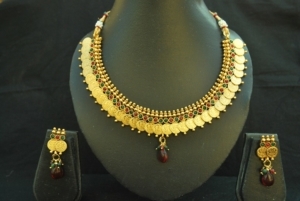 This Wedding Season Reeti Fashions presents exquiste and beautiful collection of Necklace and earrings – Designer Kasumala Copper Necklace set with Maroon & Green colour. 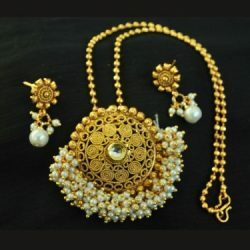 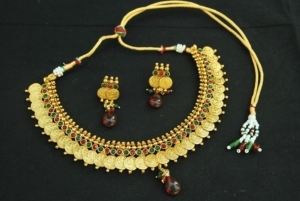 This beautiful Kasumala necklace set is made of copper metal. 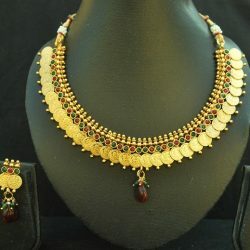 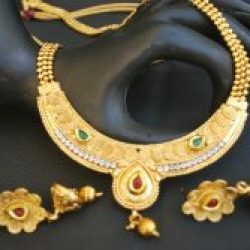 This coin necklace set comes in maroon & green colour stones.